A while back, I wrote about some of the trends that I thought would be shaping marketing in 2019. Visuals and video were among the tactics I said we would all be wise to explore in the coming year. I still know that’s the case and I thought we should take a more detailed look at how some brands are using Instagram to connect with their community and introduce themselves to potential new customers. 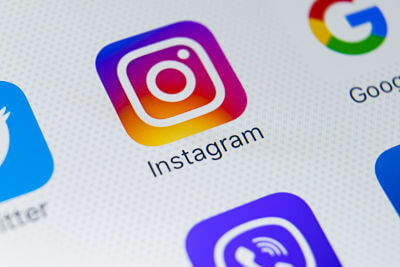 According to the Instagram Marketing 2019 Trends and Benchmarks report, there are over 1 billion users on Instagram, and about 80% of those accounts are personal accounts. 51% of Instagram users access the platform at least once a day and the average user has over 600 followers and follows over 350 accounts. Users can post photos, and videos on Instagram and photos still earn more engagement than the video content. There’s a huge opportunity for brands to create business accounts and interact with a highly engaged audience. But what kind of content makes sense for the channel? Behind the scenes peeks: One of the most popular uses of Instagram is to create a sense of intimacy and connection by giving your audience a sneak peek at the inner workings of your company. Factory tours, photo shoots, upcoming launches or on the go videos are all good uses of the medium. Testimonials or customer spotlights: Instagram is an ideal vehicle for turning the camera towards your best customers. Help your audience envision what it looks like to be a part of your tribe by introducing them to other customers who are delighted by your work. Because you can use text in the photos or have sound with your video, it’s also a smart place to share testimonials. Get a read: Think of Instagram as your informal focus group room. Ask your audience for their opinion on new options, helping you celebrate a local charity or deciding which product to feature in your new ad campaign. You can use Instagram stories to invite your audience to a landing page or poll as well. Teach: Why not educate your audience while you entertain them? Adobe uses work that their clients have created to highlight some of the capabilities of their software. By inviting their best customers to share their work, they are guaranteed a stream of fresh content and fans who are willing to share that content. Sell: You can craft special offers, create coupons, buy ads or highlight new products and services within your stream. Instagram is owned by Facebook so you can advertise on both channels at the same time. Inspire: Visuals can create a deep emotional connection. You can use photos to form a bond with your audience and inspire them to make a difference. Many non-profits leverage the channel for this reason. Interestingly, one of the most inspiring accounts is Playdoh. They use stop animation content to draw in their audience and get them to re-connect with their inner child. Make them laugh: There’s power in being entertaining and making people smile or laugh. It creates an endorphin rush that creates a sense of affection that the audience associates with your brand. Why not share a bit of your personality and invite your followers to do the same? Instagram’s audience is growing every day. If you haven’t considered giving it some time and attention, so you can explore how you might use it to bring your brand to life – you may want to make the investment before your competitors do. Odds are, it’s not going to drive a ton of immediate sales, but when it comes to creating a relationship with your audience, it’s a smart option.